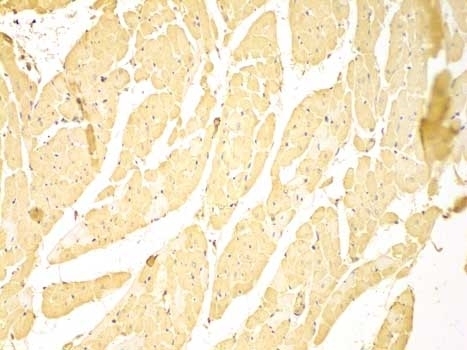 Rabbit anti C-IAP1 antibody recognizes cellular inhibitor of apoptosis 1 (C-IAP1), also known as baculoviral IAP repeat-containing protein 2 or inhibitor of apoptosis protein 2. C-IAP1 is a member of the inhibitor of apoptosis protein (IAP) family and is involved in the regulation of apoptosis and caspases. 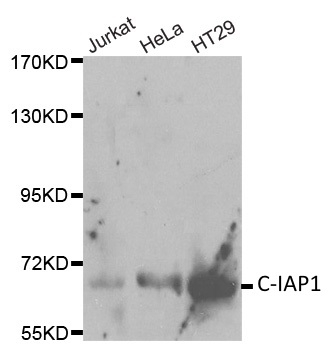 C-IAP1 also functions as an E3 ubiquitin-protein ligase and plays a role in innate immune signaling. Antiserum to C-IAP1 was raised by repeated immunization of rabbits with highly purified antigen. Purified IgG was prepared from whole serum by affinity chromatography.